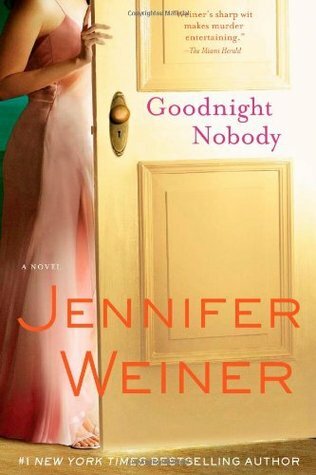 Goodnight Nobody is Weiner’s first attempt at writing a mystery. Although, I suppose this book would be classed as chick lit, it is still a really well written mystery. Perhaps this is not so very surprising as Jennifer Weiner is a former journalist who now works as a writer and television producer. She was born in De Ridder, Louisiana, USA on March 28, 1970. She was educated at Simsbury High School and Princeton University and now lives with her husband and two daughters in Philadelphia, Pennsylvania, USA. In this book, our protagonist, Kate Klein’s life is not what she thought it would be. She feels trapped in suburbia with three young children. Her days drone endlessly by in a never-ending parade of carpools, play dates, snooty super mothers, and household chores. Kitty Cavanaugh is the undisputed queen of the mothers in Upchurch. On the surface, she is the perfect mother with the perfect suburban life. Kitty is gorgeous, with not a single ounce of “baby weight” hanging around her tummy or hips. Her twins are beautiful and well behaved. Her husband is devoted and attractive. Even Her home is lovely and she seems to have it all. When Kitty invites Kate over for lunch, Kate is mystified. Kitty’s mention of a “mutual friend” piques her curiosity, so she reluctantly agrees. Kate arrives at Kitty’s house on the due date and discovers her hostess face down in the kitchen with a huge knife stuck between her shoulder blades. When Kate notices Evan McKenna’s phone number on a notepad by Kitty’s phone. It seems that Kate and Kitty did have a mutual friend. Kate is horrified and, once the initial shock wears off, more than a little intrigued. After all, Kitty’s murder is the most interesting thing that has happened in the sleepy little town of Upchurch since the Kleins moved to town. Kate launches her own unofficial investigation into Kitty’s murder. She proceeds, armed with a hello kitty notepad, she chips away at Upchurch’s perfect veneer. Kate discovers cheating spouses, a former call girl, jealousy, unrequited love and a search for a deadbeat father lurking behind her neighbours’ closed doors. Then, another Upchurch mother goes missing and Kate finds a threatening note on her car, but Kate’s interest in the case never wavers. She goes on investigating against her husband’s wishes and the advice of local law enforcement. Her reporter’s instinct tells her she is closing in on the answer as she peels back the layers of Kitty’s not-so perfect life. What she does not realize that Kitty’s killer is closing in on her as well. Weiner’s strength as a writer truly lies in her ability to create believable characters. In Goodnight Nobody, she has brought to life a captivating heroine. Kate Klein is very much an “everywoman.” She is overwhelmed by sudden motherhood. She is sad and more than a little angry at her once attentive, now absent, husband. She is a good mother, but she is very bored. So many young mother’s have experienced just that! She is struggling to hold on to her identity, but feels herself slipping further and further away from the woman she once was. The other characters in this novel are great. Kate’s best friend, carpet heiress Janie Segal, is a breath of fresh air in Kate’s stale existence. She is so smart, funny and willing to play Watson to Kate’s Sherlock. Once again, Weiner has crafted an intimate look into the lives of modern women, this time taking on suburban mothers. The Upchurch mothers represent the best and worst faces of motherhood. Their struggle to hold together the illusions of perfection despite reality is by turns funny, sad and mean-spirited. Their choices, sacrifices and compromises ring true for many women. They are formidable and competitive. They have secrets. They harbour hopes and dreams that have absolutely nothing to do with the harvest festival at nursery. In Goodnight Nobody Weiner strings just enough clues and red herrings along the path to keep her readers turning the pages without giving too much away. I really enjoyed this book and highly recommend it. I will look for more books by this author.